The exposome is a little stickier for “vapers,” or people who use electronic cigarettes. According to a preliminary study, vapers have higher levels of certain DNA-damaging compounds in their saliva. Worse, vapers sustain a kind of DNA damage that is consistent with these compounds. Evidence of DNA-damaging compounds and DNA damage was collected by scientists based at the Masonic Cancer Center at the University of Minnesota. 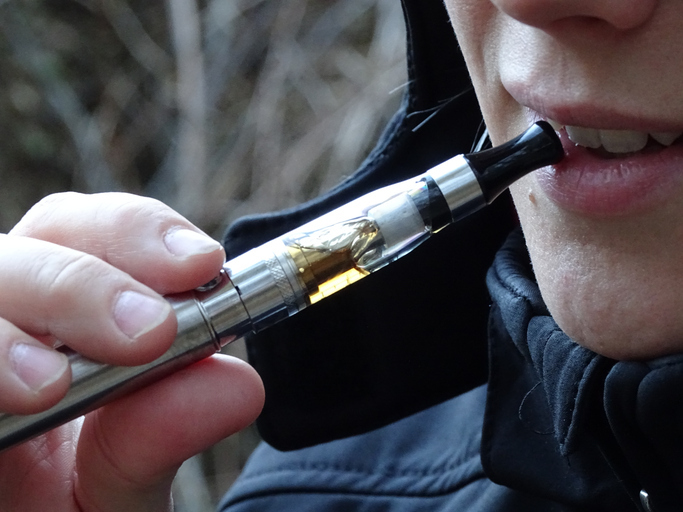 These scientists, led by Silvia Balbo, Ph.D., assistant professor, division of environmental health sciences at the University of Minnesota, examined the saliva of e-cigarette users and found unusually high quantities of three DNA-damaging compounds, the reactive carbonyls known as formaldehyde, acrolein, and methylglyoxal. Also, in comparisons of vapers and non-vapers, the scientists showed that the vapers had higher levels of DNA damage related to acrolein exposure. One of the omics of interest to Dr. Balbo’s team is exposomics, which is the study of the totality of environmental influences to which humans are exposed through their lifetimes. As expansive as the exposome is, it is unique to each individual, and hence analogous to the genome. Another of the omics relevant to the current study is adductomics, which is the comprehensive analysis of DNA adducts, which are compounds that bind to DNA, causing damage and mutations. The scientists obtained human saliva and oral cell samples from e-cigarette users and nonuser controls to screen reactive carbonyls and DNA adducts. Reactive carbonyls in saliva were derivatized with 2,4-dinitrophenylhydrazine to form hydrazones and analyzed by the NL screening method. Likewise, DNA from oral cells were isolated, hydrolyzed to nucleosides, and analyzed by both targeted and nontargeted DNA adductomics approaches. Drs. Dator and Balbo identified formaldehyde, acrolein, and methylglyoxal, whose levels increased in the saliva after vaping. Compared with people who don't vape, four of the five e-cigarette users showed increased DNA damage related to acrolein exposure. The type of damage, a DNA adduct, occurs when toxic chemicals, such as acrolein, react with DNA. If the cell does not repair the damage so that normal DNA replication can take place, cancer could result. Introduced to the market in 2004, e-cigarettes are handheld electronic devices that heat a liquid, usually containing nicotine, into an aerosol that the user inhales. Different flavors of liquids are available, including many that appeal to youth, such as fruit, chocolate, and candy. According to a 2016 report by the U.S. Surgeon General, 13.5% of middle school students, 37.7% of high school students, and 35.8% of young adults (18 to 24 years of age) have used e-cigarettes, compared with 16.4% of older adults (25 years and up). The researchers plan to follow up this preliminary study with a larger one involving more e-cigarette users and controls. They also want to see how the level of DNA adducts differs between e-cigarette users and regular cigarette smokers.